On October 31st you can join yours truly, webmaster jEX, for the first annual Rebel Domain Halloween Doom Stream. 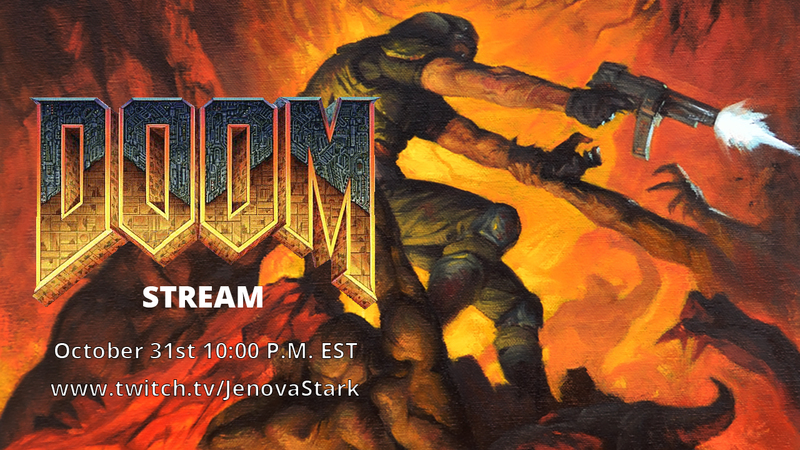 Starting at 10:00 P.M. EST I’ll be live streaming two of the best horror games ever made, the original Doom, and my personal favorite, Doom 3, over on Twitch to celebrate Halloween. You’ll be able to watch the stream on my channel at www.twitch.tv/JenovaStark. If you don’t want to miss it be sure to follow the channel so you get the notification when the stream starts.